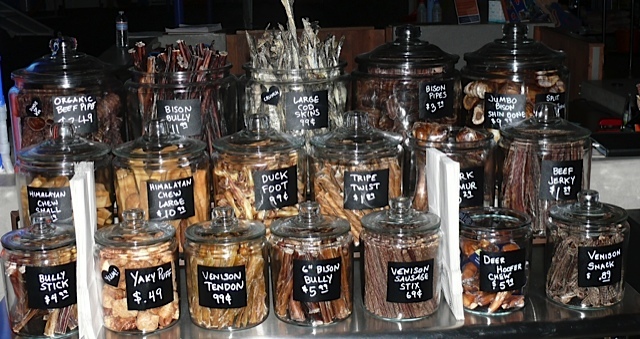 One of the best finds for any type of dog treat is the “Cadaver Bar” (canine dog treat bar) at the Zoom Room in Encinitas. They have an exceptional assortment of high quality exotic dog treats. The stainless steel tables attractively displays large glass jars filled with tasty treats for your dog. 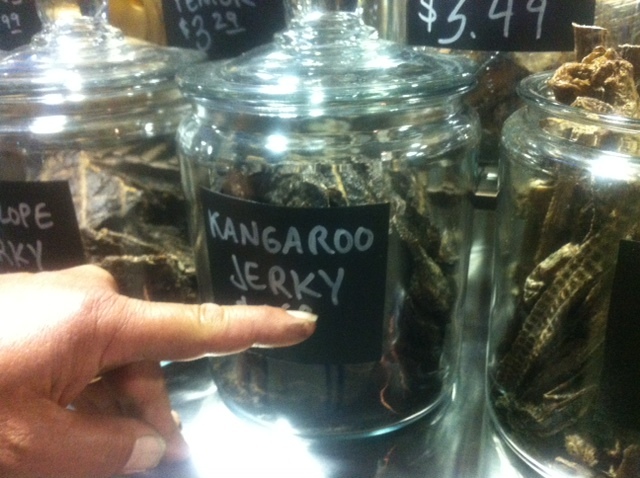 Your canine buddy will love the unique treats such as kangaroo jerky, duck feet, fish skins, tripe twist, etc. A real plus about the bar is being able to create your own “custom” treat bag for your dog. Rather than purchasing a bag of mass produced treats from a local pet chain and finding out that your dog won’t touch the treats, the Zoom Room allows you to create your own custom bag. The selection and quality of the products are amazing and your dog will just love them. Whether your dog is a canine professional in flyball or agility, or just the best dog in the world, you want to give him a special treat. 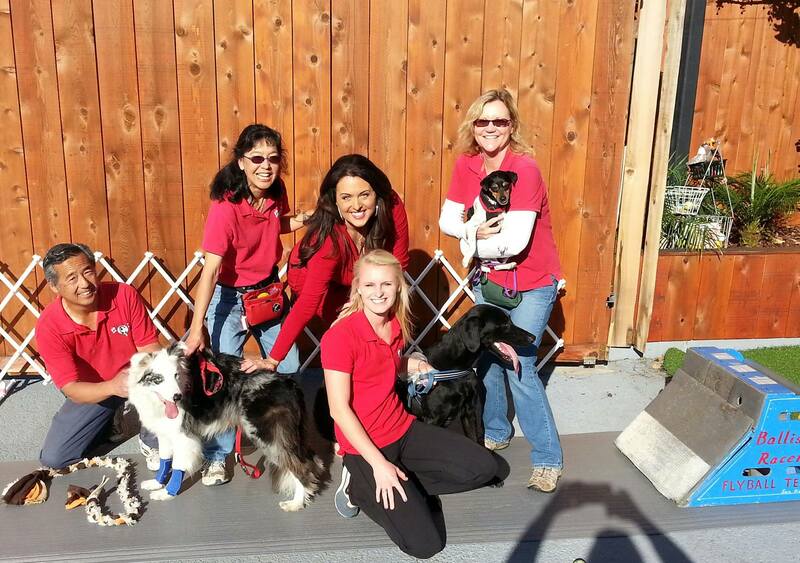 As for a gift for your favorite canine friends, treats from the Zoom Room are a must! The Zoom Room has the best selection and best prices in town for high quality treats such as cod skins and duck feet starting as low as .99 cents. There is always a knowledgeable and friendly staff member who is available to answer any questions about the treats, products, dog toys, and dog food. Not able to get to the store? Not a problem, the staff is able to make up your own “custom treat bag” and ship it to you. When you go there, tell them Zoom sent you. Woof, Woof.